On Frans De Waard's last Freiband album, 'Microbes', the Goem/Shifts/Kapotte Muziek/Beequeen man submerged himself in a sound which revolved heavily around the development of Asmus Tietchen's reel-to-reel analogue tape scratching techniques, producing a dark and meditative collection of clicks, cuts and fuzz. Pressing PLAY on his new album 'Homeward', it initially seems that he's decided to go for more of the same, with opening track 'A67>A11' easing into life through mealy clicks & cuts and a strangulated harmonica. Yet travel a bit deeper and it soon becomes apparent that the 15 tracks on 'Homeward' (most barely scraping the 3 minute mark) are less overtly dark than its predecessor, with 'Melody' indulging in what sounds like the Barhnam Circus trapped in a microchip and 'O19' seemingly representing an electronic cat foraging amongst some Mille Plateaux goodies. 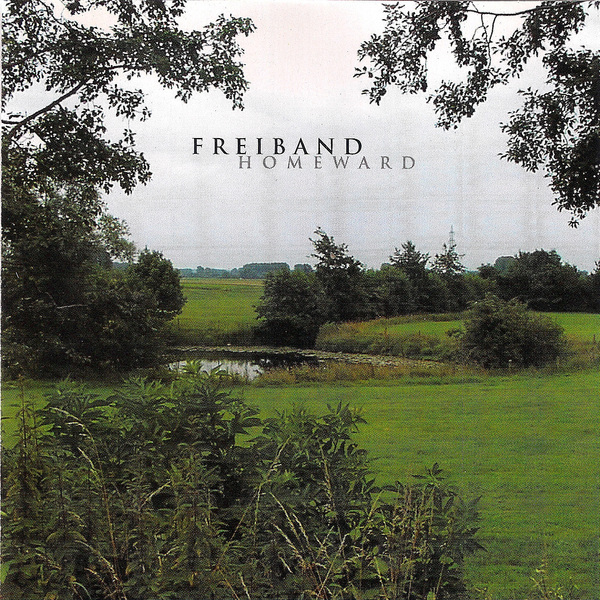 Managing to make innovative music which doesn't load you up on hollow tricks or wilful perversion is an increasing rarity, but Freiband seems to have managed it. Tuck in.